Our wood Grill Cleaning Brush is designed with quality acacia wood and makes a great addition to your BBQ Tools. From the ergonomic wooden handle to the sleek stainless steel bristles, our barbecue grill brush works every angle. With the metal wire and scraper will quickly remove burnt on residue and quickly gets your grill clean. A great gift idea! 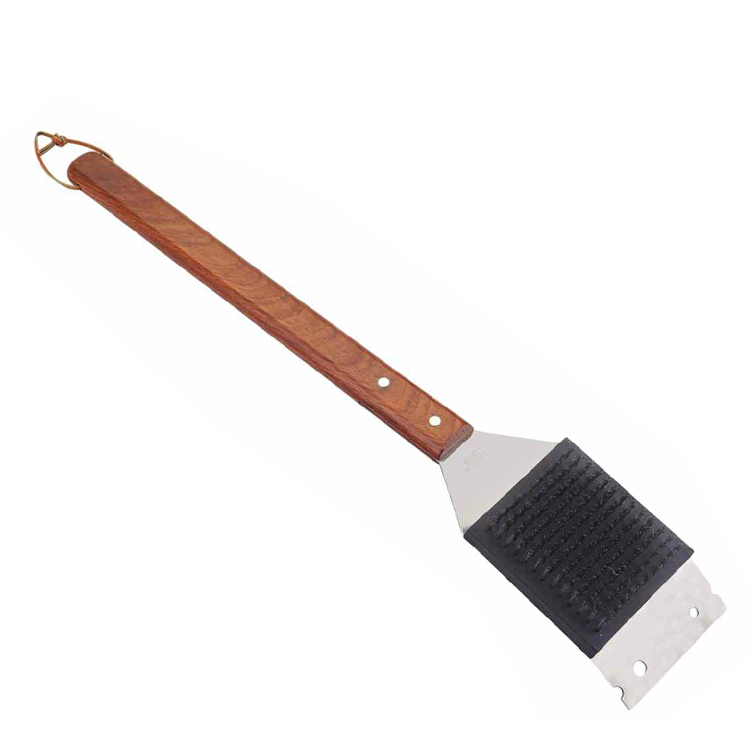 Our bbq grill Cleaning Brush is safe for Porcelain, Ceramic, Infrared, Weber, Char-Broil, etc. Keeps your Grill Tools Set or Bbq Grill Basket looking and functioning like new! Looking for ideal Barbecue Cleaning Brush Manufacturer & supplier ? We have a wide selection at great prices to help you get creative. All the Barbecue Grill Cleaner are quality guaranteed. We are China Origin Factory of Grill Brush With Scraper. If you have any question, please feel free to contact us.